A gorgeous combination of elegant pastel and white seasonal flowers, tastefully arranged together and teamed with delicate greenery. 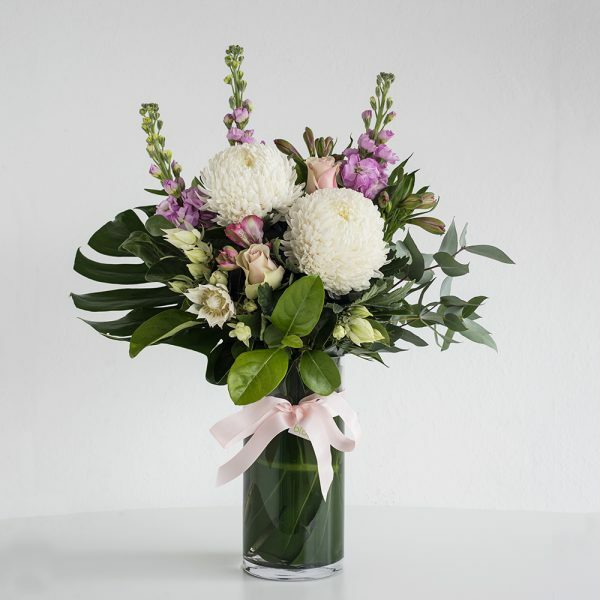 An arrangement made into a cylindrical glass vase perfect for a classic flower lover. This arrangement also comes with a complimentary gift card for your own personal message.